Bio: After nearly a decade of competing in Muay Thai and kickboxing, Tweet transitioned to MMA in 2011. 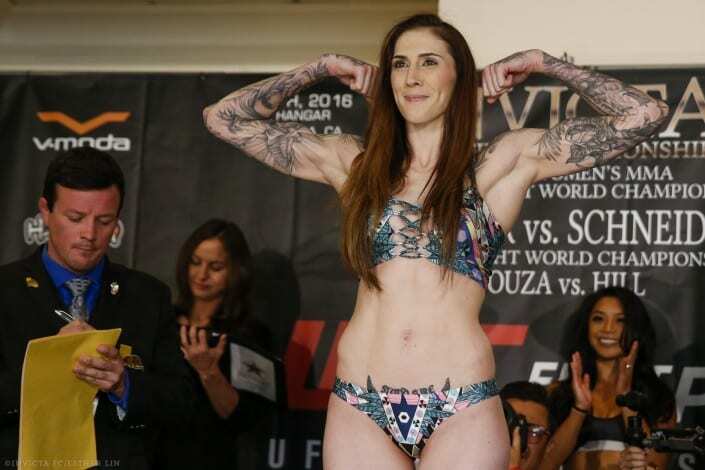 Her first fight came against Ronda Rousey and although that fight didn’t go her way, Tweet’s knack for first-round finishes caught the attention of Invicta officials. She signed with Invicta in 2013. In 2014, Tweet took part in the promotion’s first ever lightweight bout, and needed less than a round to secure the first TKO win of her career. 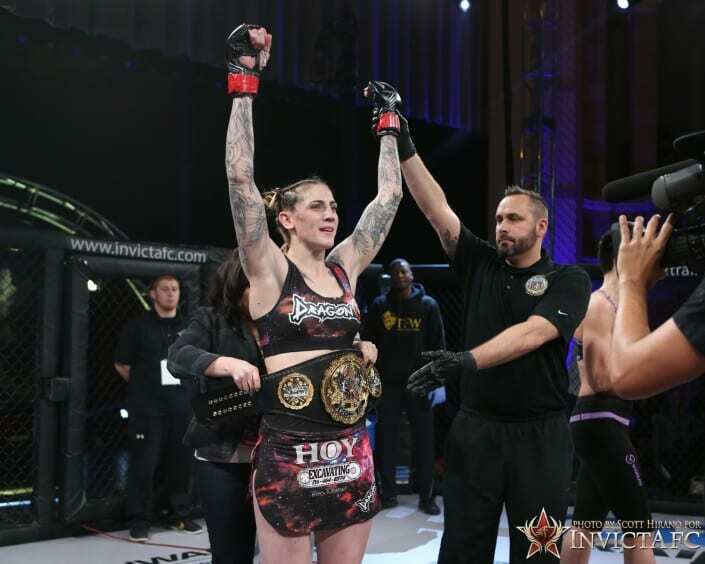 Her success earned her a shot at the Invicta featherweight belt in 2015. My daily regimen had become so much more relaxed now that I am no longer working full time. I do strength and conditioning in the morning and sport specific training in the evening ( BJJ, Wrestling, Muay Thai, ect.) in the evenings. on alternating days I have started neuro tracking, which I call my “brain training”. As a young teenager I purchased the Sugar Ray Leonard “Boxout” workout video and it really piqued my interest in boxing. Approximately 10 years later I was introduced to Duke Roufus who was to become my first coach and mentor in Muay Thai; long story short, I have never boxed but had a successful Muay Thai career which developed into my MMA career. I crochet but, in order to not sound so grand motherly, I call it grip strength training. My maternal grandfather died when I was very young and my grandmother when I was a teenager and extremely self absorbed, so I would love to meet them and have the chance to have a meaningful conversation with them. Even though I spent a lot of time with them when I was little I realize now that I know very little about them and would love to hear their life stories from them. Well, seeing as my favorite movie and my favorite book are both Gone with the Wind, I guess I would have to go with Scarlet O’Hara. I would love to see how she continues on with her life the “tomorrow” after Rhett tells her that he “doesn’t give a damn”.